Is It Bad to Run an Air Conditioner Without a Filter? Running an air conditioner without a filter for a prolonged period of time can be extremely damaging to the unit. Filters act to remove debris from the air on the intake side of the air conditioner, preventing hair and dust from ending up stuck to your air conditioning fins and clogging your drain. Do not run your air conditioner without a filter, as it can be damaging to a few different mechanisms. 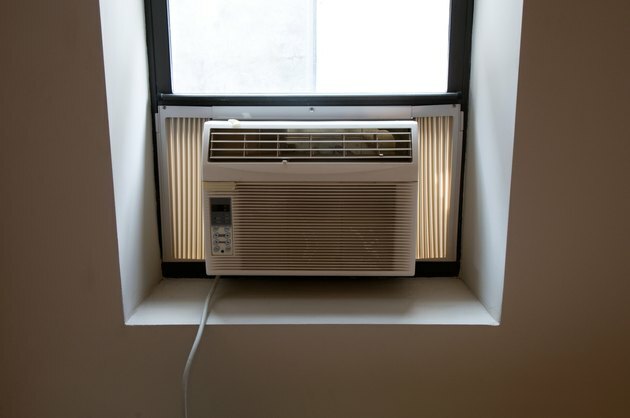 Window units contain filters just like central air conditioning installations. An air conditioner works by pulling in air from your home and blowing it across copper tubes containing freon. These tubes are consistently wet with condensate from the air, just as a bottle of cold water accumulates condensation when left out in a hot room. Blowing unfiltered air across these fins will lead to debris sticking to the condensate and coating your fins. This leads to inefficient cooling and can overtax your air conditioning system. The condensate that accumulates on the freon tubing in your unit drips down in to a pan. This pan is drained to the outside of your home and aids in the dehumidifying aspect of air conditioning. These drains are not intended to handle debris such as hair and dust from your home. Any appreciable accumulation of debris will clog the drain, back up the water and either trip your unit to turn off until the drain is fixed or cause water damage in your attic. Any debris that does not become stuck to the freon tubes in your air conditioner will continue down the line in to the ducts that blow cold air back in to your home. These ducts are ribbed aluminum tubes, with many small crevices for debris to accumulate. As debris accumulates, it can harbor moisture and encourage mold growth, which can not only be damaging to your ductwork but can be hazardous to your health. Running an air conditioner without a filter will, at the very least, reduce indoor air quality. As the air conditioner stirs up dust in your home and cycles the air, the dust and debris will never settle. It will continue to be sucked up into your intake, pumped back out your air vents and remain in suspension in the air until you breathe it in or it clogs your unit. Running an air conditioner without a vent is a bad choice for indoor air quality. Why Is My Air Handler Leaking Water on the Floor?